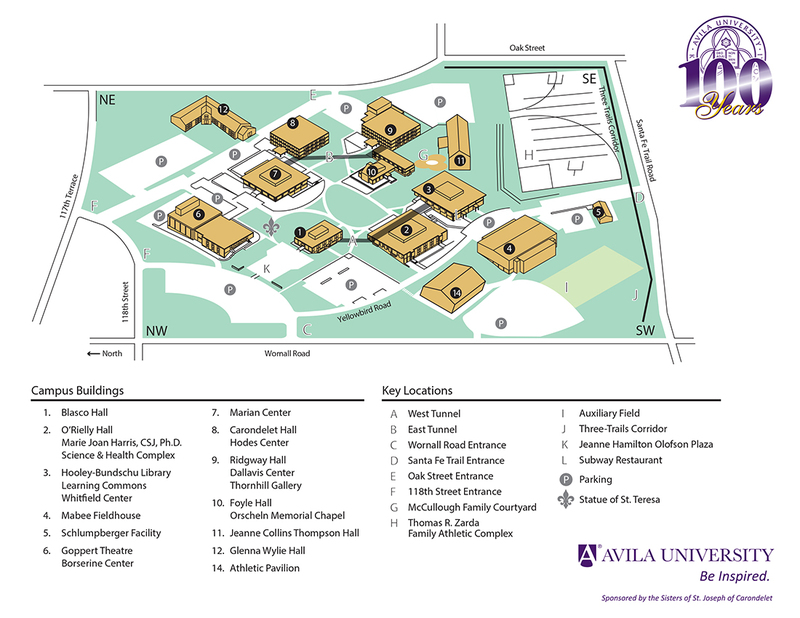 The catalog in existence at the time a student first enrolls at Avila University is the one a student must follow in order to fulfill graduation requirements. With school or college approval, a student may choose to fulfill degree requirements under a subsequent catalog in existence during the student’s attendance at Avila University. Once a student changes catalogs, the student may not revert to the earlier catalog. Forms to change a catalog are available in the Registration and Student Records Office. If a student does not attend Avila University for four consecutive semesters (not including summer sessions), the student must then fulfill the requirements of the catalog in existence at the date of re-enrollment. The dates of the catalog a student follows to fulfill degree requirements must be stated on the degree application. A student accepted into a Graduate Program is expected to work consistently toward the completion of the program and to register in the program until all requirements are met. A student who does not register for graduate courses during two consecutive years will be required to reapply for admission to the Graduate Program; no fee is required for readmission. To be granted a degree or certificate, all coursework must be completed within seven years from the time admitted to the Graduate Program. Avila University accepts transfer credits towards any Master’s degree as recommended in the transfer credit practices directory published by the American Association of Collegiate Registrars and Admissions Officers. Ordinarily, six hours of “A” or “B” graduate coursework may be transferred into the MBA, nine hours for Psychology, Management, and Organizational Development, and fifteen hours for the Counseling Psychology programs. Students transferring from another accredited institution’s doctoral psychology program or an international psychology Master’s program may be able to transfer more than the maximum hours noted above. The Education Master’s program will transfer up to fifteen hours of approved graduate coursework. Only courses accepted to meet degree requirements will be transcripted. All transcripted courses are included in the grade point average (GPA). Transcript grades will not include ‘+’ or ‘-‘. Students must consult with their assigned academic advisor prior to initial registration. Students are encouraged to contact their advisor at other times throughout the program for information about course selection, university policies, services, or professional opportunities. Students should discuss their specific degree requirements with their academic advisors throughout their academic career. While an academic advisor is to be of help to a student in planning and confirming the student’s progress toward graduation, ultimately it is the student’s responsibility to be familiar with the requirements for graduation and to be aware of the number of hours completed towards graduation. Please check your individual program or school for deadlines to file for graduation. A student may request an exception to an academic policy or the degree requirements. An “Exception to Academic Requirements and/or Policies” form may be obtained from the Registration and Student Records Office. The request must be completed by the student with recommendations from the academic advisor and the dean of the school or college. The form is submitted to the Academic Affairs Office for the final decision. On the first day of class for 5-week, 6-week, 7-week, 8-week, and summer classes, excepting ED intensive courses with pre-assignments. A late registration fee may be charged. A student in a degree program must have the written approval of the academic advisor and the Registrar to take courses at another college. Students not obtaining written permission prior to studying off campus may risk not receiving credit at Avila University. Permission forms may be obtained from the academic advisor. Graduate students may repeat courses according to the policy of the program in which they are enrolled. The most recent grade earned is reflected in the cumulative grade point average. However, all course entries remain a part of the permanent record, and credit is forfeited for all previous attempts. The number of “C” grades allowed per student varies by graduate program but can never exceed 20% of the total program hours. The student can only repeat a given course one time. MBA Program: Students may repeat a course in which they earned a grade of “C,” “D,” or “F.” Only one repeat of a required MBA course will be permitted. Education Program: Only one course may be repeated during the entire program. Psychology Program: Only two courses may be repeated during the entire program. This includes students who are pursuing a second psychology degree. Organizational Development Program: Only one course may be repeated during the entire program. Management Program: Only one course may be repeated during the entire program. Students may enroll for independent study with the permission of the instructor and the dean of the school or college. For students in Education and in Psychology, independent study is limited to three credit hours; however, for students in Psychology, independent study may not apply to state licensure. See advisor for details. Avila University supports students who are members of a branch of the United State armed services and makes efforts to accommodate them academically when possible if they are called to active duty. All requests under this policy must be sent to the Academic Affairs Office. The university defines academic dishonesty to include the following practices: plagiarism, cheating, fabrication, impersonation, deception, sabotage, complicity, multiple submission, misuse of intellectual property via information technology, and forgery. A detailed definition for each of these practices is found in the Academic Honor Code. The instructor who discovers that a student has engaged in academic dishonesty must report the violation and provide documentation, including an Academic Honesty Incident Report (MyAU -Instructor Info), to the dean associated with the academic course. The instructor will decide on the course related sanction for the offense (e.g., a warning, zero on assignment, “F” in the course, etc.). Lesser sanctions, appropriate for the offense, may be selected at the discretion of the instructor. An attempt must be made by each instructor to treat each offense in a consistent manner within the same course. For the first offense the dean may, at his or her discretion, impose further sanction beyond that imposed by the instructor. For the second offense, The Vice President of Academic Affairs may, at his or her discretion, impose further sanction beyond that imposed by the instructor. For the third reported offense, the student will be required to attend an official hearing before the Academic Honor Council which will determine further sanction beyond that imposed by the instructor. If a student is allowed to continue at the University after the third offense, and a fourth offense is reported, the Academic Honor Council will meet to determine need for further review or immediate dismissal from the University. The maximum sanction available to the Academic Honor Council is to dismiss the student from the university for repeated offenses. Individual program policies pertaining to integrity and academic honesty take precedence over policies and procedures set forth in the Academic Honor Code. Nonetheless, all incidents of academic dishonesty must be reported as set forth in the Academic Honor Code. Records of accumulated reported offenses of compromised integrity will be maintained in the office of the Vice President for Academic Affairs. When the student successfully graduates from Avila University, these records will be destroyed. The Academic Honor Code is located in MyAU and was approved by the Faculty Assembly 2-10-17. Schedule cancellations or complete withdrawals may result in charges of $25.00; all other changes in schedule may be charged $15.00 for each change. There is no fee for changes made as a result of classes cancelled by the university. The MBA Program meets on a trimester calendar (11-weeks). The fall trimester begins in early September and runs through the week prior to Thanksgiving. The winter trimester begins early January and runs through mid-March. The spring trimester begins late March and runs through early June. The summer session typically runs mid-June through mid- August. The last date to change to audit or drop a trimester-long MBA class will be prior to the seventh class meeting. CR = Credit (not included in GPA). NC = No credit (not included in GPA). AU = Audit. Courses may be taken for audit with the approval of the instructor. Students may also change an audit course to credit with the permission of the instructor prior to the SECOND week of classes. Students auditing a course are required to meet the attendance and participation requirements of the course. If these requirements are not met, students will be withdrawn from the course by the instructor. A final grade of “AU” is recorded on the transcript. I = Incomplete. Incomplete grades are only issued at the instructor’s discretion due to extenuating circumstances. All assigned incomplete grades must have a Contract for an Incomplete Grade Form completed and submitted by the instructor to the Registration and Student Records Office within one week of grade entry through MyAU. Coursework required for a grade must be completed within six weeks after the last day of the course. If not completed by the due date stipulated on the Incomplete grade form, the grade of Incomplete will be changed to an “F” in the Registration and Student Records Office. If the student and instructor wish to extend the original due date for the work to be completed, that extension must be submitted in writing by the instructor to the Registration and Student Records Office. If the timeframe will extend beyond six weeks after the last day of the course (not counting summer term), the extension must be approved by the Academic Affairs Office. See MBA program for policy on incomplete grades in a graduate directed study or research course. The basis for determining the academic standing is the point-hour ratio. The Grade Point Average (GPA) is obtained by dividing the total number of semester hours, including transfer credits, but excluding grading assessments of W, AU, and I. Transcript letter grades will not be assigned “+” or “-.” All grades for courses retaken will be displayed on the transcript, but only the most recent grade will be averaged into the GPA. For graduate students, only transferred courses that meet requirements will be transcripted and averaged into the grade point average. Graduate students must maintain a cumulative GPA of 3.0. Final student grades are available on-line. Paper grade reports are only mailed by specific request. Students who have satisfied all financial obligations to the University are entitled to an official transcript of their academic record. Due to the confidential nature of a student’s record, transcripts are issued only on written authorization of the student concerned. Telephone requests will not be accepted. Written requests should be directed to the Registration and Student Records Office. OFFICIAL and UNOFFICIAL transcripts can be forwarded directly by mail to other institutions as well as issued to the student for personal use. The fee for an official transcript is $8, payable in advance. Unofficial transcripts are also available on-line via a student’s MyAU account. Students may also order official transcripts online with a credit card via the “Transcript” link on the university homepage. This service is provided by the National Student Clearinghouse, which charges a processing fee in addition to the $8.00 transcript fee. Students have recourse to an appeals procedure for the review of student course grades received at Avila University. Guidelines and request forms are available in the Office of Academic Affairs. The deadline for appealing a grade is 14 Avila University business days after grades are due for the course being appealed. All students must submit an application for degree to the Registration and Student Records Office during the semester prior to their final semester at the university stating the expected date of degree completion. If students do not complete the degree requirements by the expected date of completion, they must submit a new degree application in the Registration and Student Records Office. After the degree application is received with the Registration and Student Records Office, a survey of all academic work is reviewed by the Registrar to verify degree requirements still needed to be satisfied. Written notification of those requirements will be sent from the Registrar to the student. Please check the Avila website for graduation application due dates: http://www.avila.edu/student-services/graduation-information. A student can be enrolled in only one Master’s degree program at a time. Concurrent admission in cross-unit degree programs or certificate programs is prohibited. Upon completion of the first graduate degree or graduate certificate, a student may enroll in another degree or certificate program. Completion of a minimum of 24 additional semester hours at Avila University after the awarding of the first Master’s degree. Graduate students in Education, traditional Psychology, and MBA with nine hours or less of coursework to complete in the summer term may participate in the May graduation ceremony. Advantage Graduate Students with six hours or less of coursework to complete in the summer term may participate in the May graduation ceremony. Requests for exceptions to this policy must be submitted in writing to the Academic Affairs Office. Students may only participate in one graduation ceremony for a given degree. 500-599 Foundational graduate courses and Education graduate certification courses. The letters following the course description indicate the semester in which the course is given. Fall semester course offerings are indicated by FA; spring semester, SP; summer session, SU. Where frequency of course offering is not indicated, the course is given as required.